Buy yourself a reloading manual, such as the Lyman 50th. For SASS reloading purposes, I prefer to recommend the Lyman Cast Bullet Handbook, 4th Edition. It usually provides a wider selection of cast bullet weights with charge weight min and max charge weights. (Note, I provided a link to Amazon, they're the same price of other places, but include free shipping... not a biggie, but I like orderin' gun related stuff from places that generally ain't gun friendly... especially when it's a bargain, hopefully they're losing money on each transaction)! 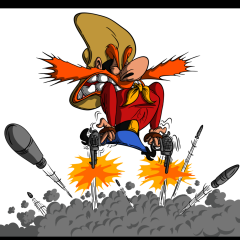 Now, be advised, that if you follow the advice of some here, and load .357 cases with data from any manual under the .357 Mag area, you're likely to be exceeding the SASS feet per second rule for both rifle and handgun. 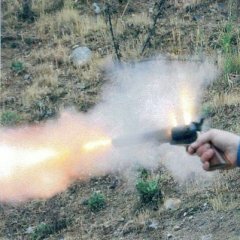 Using 38 Special data in .357 Mag cases can sometimes lead to squibs. You've entered the twilight zone of reloading. Keep in mind that charge weight to case volume is not a linear progression. I.e., increases in any charge weight with the same case volume does not result in a linear increase in pressure. And, to extrapolate, a decrease in charge weight with the same case volume will not result in a linear decrease in combustion pressure. If, I loaded .38s in a .357 case, I'd be happy to share my recipe with you... but I don't. If I were you, I'd find a reliable person locally that does, ask them to mentor ya, but, I'd still verify anything and everything they tell ya. Just like any data you might read here... and especially any other-dang-place you might pick such nugget from. 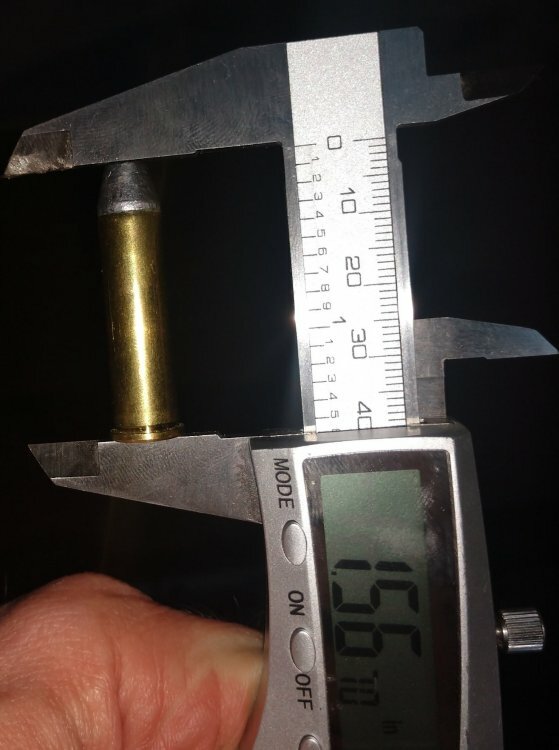 This is with Waimea's Outlaw Bullets 125gr. I can't hardly seat .38 as long as .357 with them; 1.51 vas 1.56. 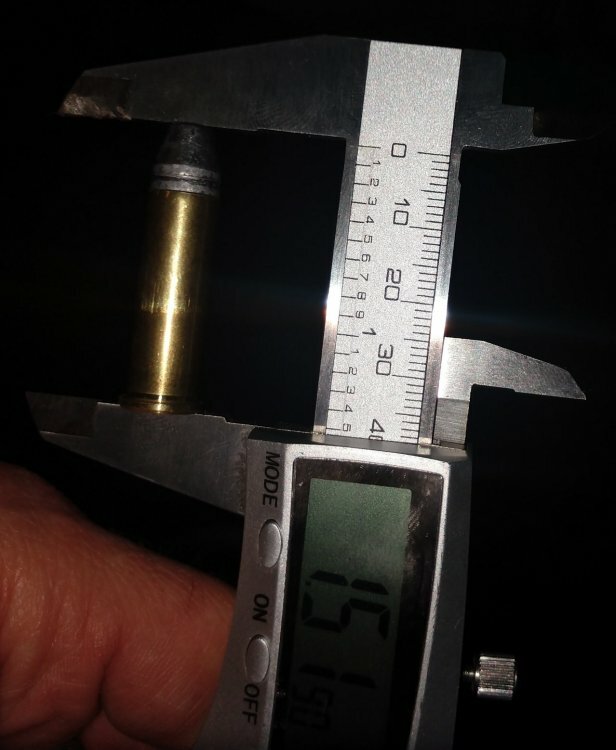 But Badman Bullets make a 127 gr bullet with no crimp groove that I can. Hope this gives you a better visual.I would think anything over 1.50 OAL would feed through your HBB. Great presentation and easy to understand. Really appreciate you taking the time to put it together, not only for me, but for those who are just as interested. I'm going to go out on a limb here. I've been reloading for 35 years, so I am not an authority or anything, but I am also not talking out my backside either. .38 Special and .357 tend to be some of the easiest cartridges to reload. The brass tends to be pretty durable when run with moderate or light loads like used in SASS. By pretty durable, I mean if you don't lose them or step on them, you'll likely use them forever. Also when you lose 10% of your brass a match, you rarely have any cases that get to 10 reloadings. You are overthinking this. Get a machine (Dillon Square Deal B is pretty good for beginners and very economical too) get a reloading manual and get to it. Once fired is fine, starline is great, range brass. . . too much trouble for the savings. I actually already have a basic reloading machine that was donated to me a long time ago; however, have not had the ability to allocate the time that will be needed, as yet. I will check to see what the reloading model is and that will be the reloading manual I'll purchase and at least get the reading part under my belt. As for your last statement, we are good now in the Saloon, and glad that you are serious and somber in your reply. Still pleading ignorance here, but does a Cast Bullet Handbook, regardless of whose it is (ie. Lyman vs Dillon) apply regardless of the Make/Model reloading equipment you are using? As you can see from my reply to J. Mark, my reloading equipment may not be a Lyman. Yes, the fundamentals are the same across all brands of equipment... even amongst types of equipment, be it a simple single state, a turret, a quasi-progressive, (like the Dillon 550), or a full progressive. The reloading steps are the same... clean case, decap, size case, recap, charge, seat bullet and crimp... style and amount dependent upon the specifics of that case/cartridge. The reloading handbooks, or manuals according to some, are a listing of powders and bullets of a dimension and type applicable to a specific cartridge, and said amounts of powder. Usually with a range of charge weights, which it is highly recommended to stay within. Most maximum listings will be slightly below the SAAMI recommended pressure limit. A few will be right there at the SAAMI maximum limit. (This sometimes listed as PSI, other times in CUP. The two are not related except as units of measurement). 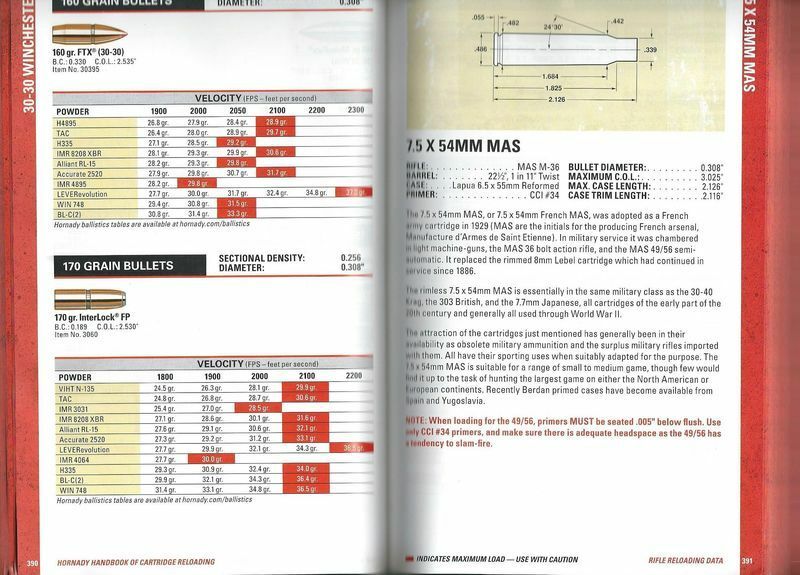 Above is a sample page for the .30-30 from Hornady's book. Generally speaking, a bullet manufacturer's book will only list their specific bullets, and most Powder manufacturers will only list their powders. The online guide from Hodgdon lists the 3 brands they are licensed to distribute, Hodgdon, Winchester and IMR (formerly Remington). Whereas, Lyman's books, tend to list a much broader selection of both powders and bullets. 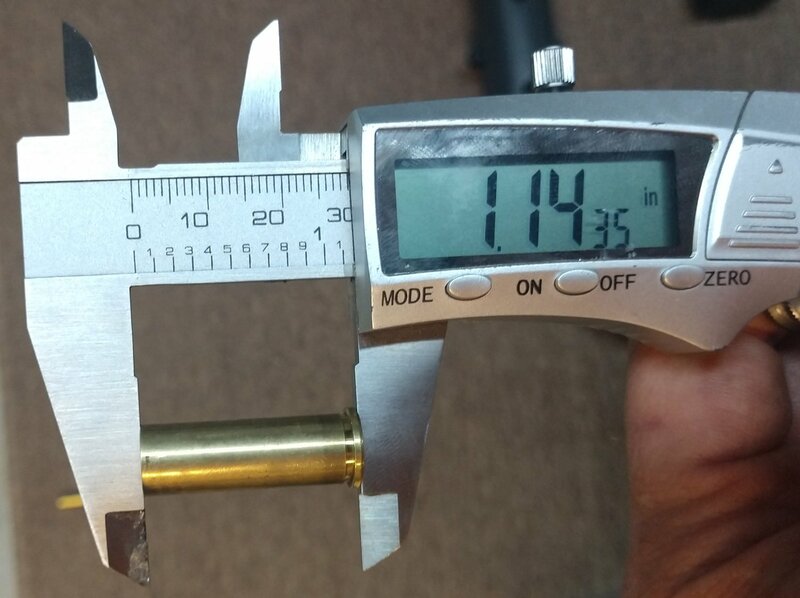 One does need to carefully note what type of firearm was used in their load testing, along with its barrel length, as well as case and primer. As all of these will affect the pressure of the load, and its resulting velocity. 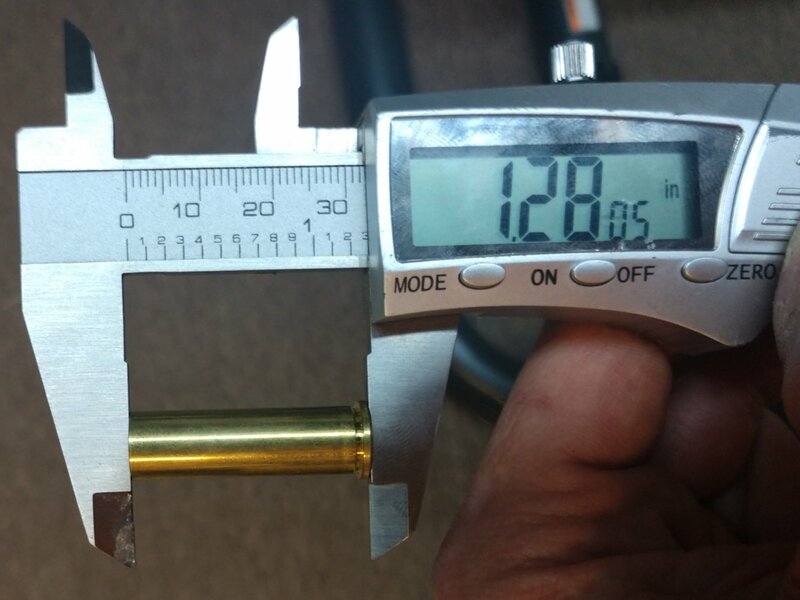 While I can use data that is listed as being tested in a Winchester 94, for example in a Marlin 336 of the same chambering, I can expect different results... and should, out of a solid case of self-preservation, begin my load testing at least 10% or more below any maximum charge weight they list. Or, even vice versa, their tests were done in a Marlin and I'm loading for a Winchester. In fact, I can't even really rely on their data for a gun by the same manufacturer and identical configuration. As chamber reamers wear out, barrel and rifling cutters get replaced with new, and those minute differences can spell an over-pressure situation. When I say entire books are devoted to this subject... I mean it, quite literally. One thing I really like about the Lyman Cast Bullet Handbook, is that they list bullets cast in molds made by Lee, RCBS, Saeco and themselves. Truly phenomenal in this age of dog eat dog competition. They don't list intermediate velocity expectations as Hornady does in the example above, but simply list a minimum and maximum. But, if you look closely, they'll list certain powders and charge weight in bold print... and give that as their potentially most accurate loading. Padre, think of the Lyman Cast Bullet Handbook as a cookbook, a list of recipes. This is not to be confused with the owner’s instruction manual for your particular brand of reloader which would discuss set-up, operation and adjustment, etc. 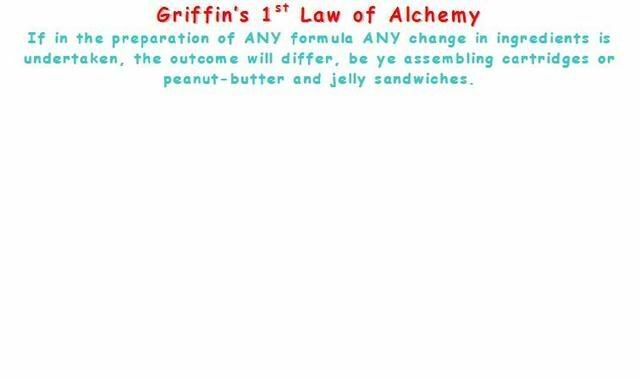 To paraphrase Griff, you can use that cookbook with any reloading machine. I have often said on this forum that the Lyman Cast Bullet Handbook is the last reloading manual I bought and I wish it was the first. 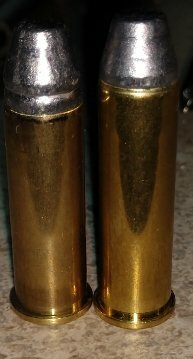 .357 and .38 use the same bullets. .357 cartridges are around 1.58 in overall length. You can usually load .38 cartridges at or near that OAL with a 125 grain bullet crimped outside the crimp groove of the bullet. I'll try and take some pictures when I get time as it's a lot easier to understand. Thank you again for all the information, references and guidelines. My first question is this: What is the difference between the two Lyman publications that have been referenced above? I'm assuming they cover two different facets of reloading? Are they mutually exclusive? I'm also going to guess that the Lyman Reloading and Cast Bullet guide (5/94) I received with my press should not be used? Does a book that covers every single type of bullet caliber and cartridge necessary if one plans to only reload 38 spl and 357, or it just doesn't work that way? Lastly, I found the box with the reloading equipment I received and here is the model. Is there anything I need to be concerned about since this equipment is apparently quite old? Appreciate everything I am learning here on the WIRE. That Lee should work just fine. If for some reason you don't want it, I'll be happy to take it off your hands. Dead serious about that. I still think that you could get by just loading .38, but that's up to you. You'll have to adjusted the dies when you switch between the two. To me, that would be a PITA. YouTube has videos you can watch on using the press. pertinent to cast lead bullets. I'm sure it's fine to use as a general guide but a full reloading manual will be much more informative. Does a book that covers every single type of bullet caliber and cartridge necessary if one plans to only reload 38 spl and 357, or it just doesn't work that way? There are no caliber specific books, besides you may want to reload another caliber at some point. Tests to be performed? Go to you tube and search for it, several videos will show you how it's set up. It's pretty simple and you can get extra turret heads to switch between calibers easily. I commented inline. What you have there is a very good press. You can easily load a matches worth in an hour on that, maybe two matches worth. Or get a second turret head and another set of dies. The turrets are just $15. I have 3 so far set up for .44 Russian, 44-40, and Cowboy 45 Special. I load black powder on mine. "Or get a second turret head and another set of dies.﻿ "
Agreed, the cost of the extra turret and dies would greatly override the time and trouble of re-adjusting the dies and hoping you did it right. I been reloading for a while and have come up with my cardinal rule: Never assume, always check. Assumptions can be followed closely by explosions. I started with Lee equipment and the above turret is fine.I never had a squib until I yielded to peer pressure and bought a Dillon SDB. I've put the SDB back in the corner and have loaded my last several matches on my Lee. I like Richard Lee's reloading book for basic recipes. 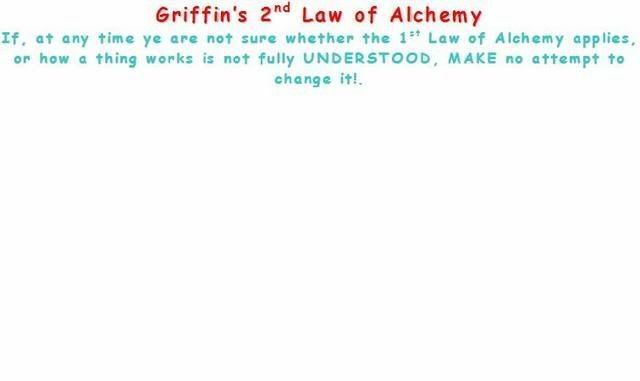 Any good reloading manual will do, both are good references. I'm still using the 46th edition . The one that came with your press has the basics. The Lee Classic Turret Press is a great unit for a beginner or low volume reloader, especially if you are on a budget. It has a cast iron frame so is capable of loading large rifle calibers as well as handgun cartridges. Clean it up and lightly lube the ram and hinge areas. I use car wax on the auto index rod and on the top face of the press where the turret rides. Once set up and adjusted, you'll be able to run 100-200 rds/hour in no time. 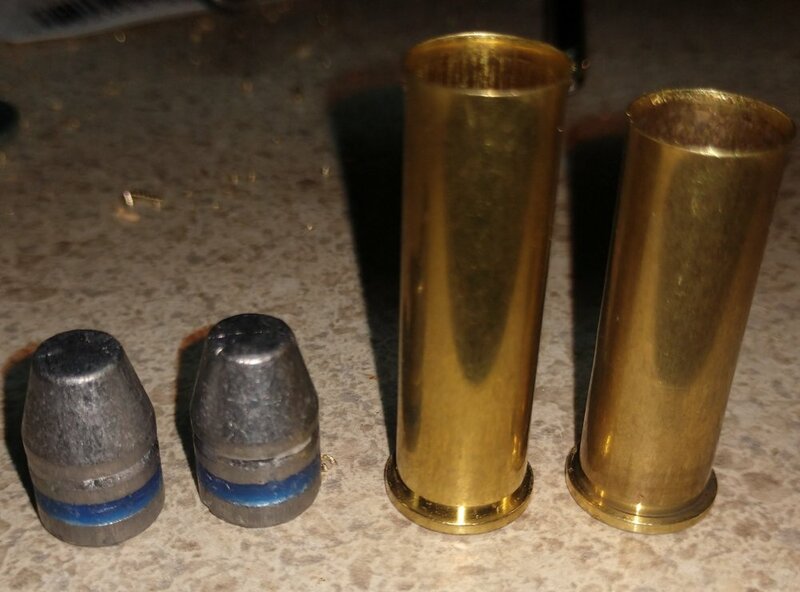 For 38 Special and .357 Magnum, the best idea is to have two sets of dies and two turrets. Caliber change is simple. You didn't say if you have an Auto Disk Powder Measure or the Lee priming system with it. The Auto Disk works nicely, the priming system works ok. If it has neither, you can hand insert primers into the primer ram and you can use the dipper that comes with Lee dies to add powder if it meets your load specs. The two most important accessories are a scale to check your powder loads and a caliper for OAL. The Lee chart only gets you in the ballpark for powder charges. Start with the chart then weigh several drops. Change the disk if necessary to get the load you want. Lee makes a caliper style powder bar that also works well with the Auto Disk for the light loads some use in SASS. Weighing every 10-25 loads is standard procedure for many folks unless you have a lockout die or powder check system. With the four-hole turret, you can add that feature easily. I use a digital caliper and keep several batteries on hand, be sure to zero it with every use. I used a Lee beam scale for years but have since upgraded to an electronic scale these days. Neither of these items need to be "the best" but buy decent tools to start with as they can last a lifetime. A note on your mentor. Ask if he/she will teach you to reload using your equipment. Learning on other types of presses is ok but it would be to your advantage to "Graduate" with a hands on session in helping you get your outfit set up and running 50-100 rounds under his/her tutelage. The basic difference 'tween the two manuals above is that the 50th is general in nature, while the 4th Ed. 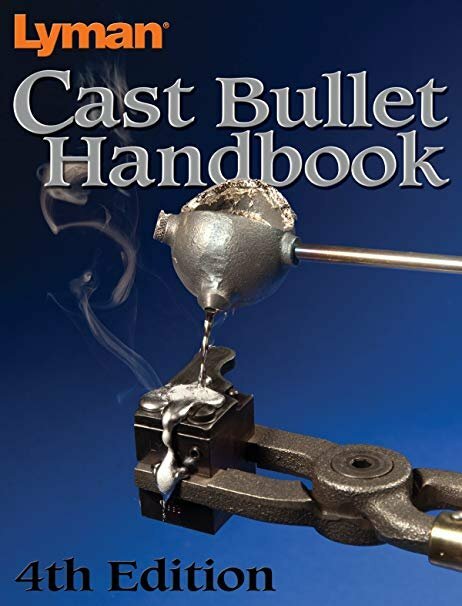 Cast Bullet Handbook is specifically geared toward the cast bullet shooter. Recipes for jacketed ammo CAN a good starting point for developing a cast bullet load of the same weight... but is not always a guarantee of success, bullet bearing length, the inherent difference in friction properties between copper and lead, can negate that "benefit". I have Editions 2 & 3 Cast Handbooks, along with the 43rd, 45th, 48th, 49th and 50th Editions of the Reloading Handbook. I refer to nearly all of them from time to time. I have several editions of reloading guides from Hornady, Speer, Sierra, Hodgdon, and Nosler. Partly because there are new cartridges to load for... and I keep the old ones because they sometimes drop cartridges from their load data charts. Pretty much ANY reputable reloading guide is sufficient to start of with. Your Lee Turret press is fine. It's much newer than the equipment I started off with, and still use in certain instances. As long as it's in good repair, (not loose, wobbly or other indications that it might not be serviceable), I wouldn't hesitate to load ammo on one. And I second those recommendations to get another toolhead for that 2nd cartridge. (It's extremely nice to not have to re-adjust dies every time you change what cartridge you're going to load. There were several cartridges that had all but disappeared from reloading manuals until the emergence of two shooting disciplines... SASS and Cowboy Silhouette. The fact that firearms were being produced in calibers like the .45-60, .40-65, 40-70, etc., didn't hurt. When I bought my 40-90 Sharps in 1987, there were no guides on how to load it with smokeless... (there still aren't, but that's beside the point), but for several other buffalo cartridges there now is. 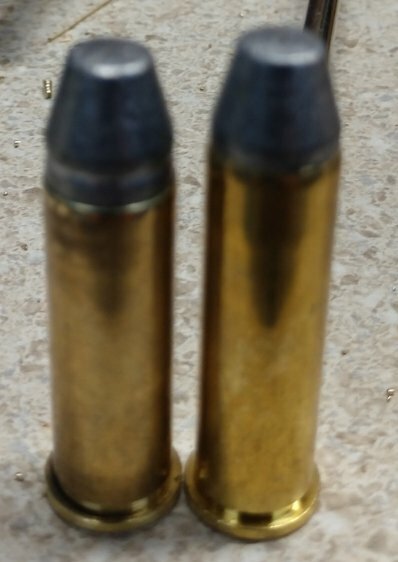 Until the Lyman 4th Ed Cast Handbook there wasn't RIFLE data for cartridges like the .357 Mag or 45 Colt; and while they don't differ a great deal from the handgun data, there are differences in powder for best performance between a pistol and rifle application. For SASS shooters that want to only use one load between the two platforms, it's nice to know which have recommendations under both pistol & rifle. I load all my ammo on that exact press. It's not considered a "true" progressive, but it will serve your needs very well. As stated, separate turrets are a good idea and allow you to change calibers easily.